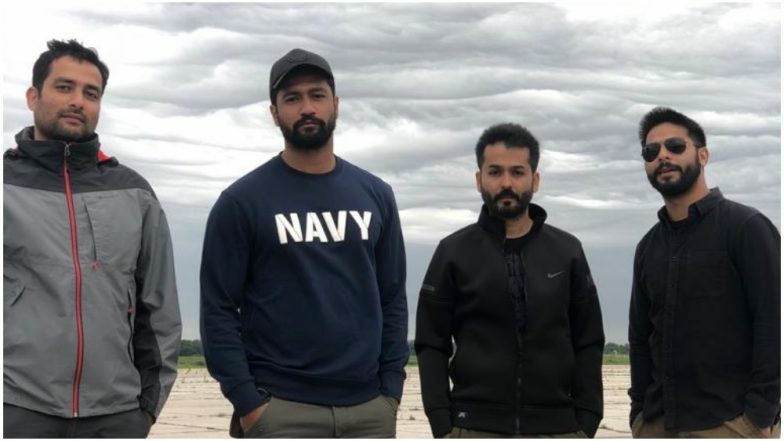 After the roaring success of URI: The Surgical Strike, the actor-director duo of Vicky Kaushal and Aditya Dhar are coming back together for yet another big project. The yet untitled movie is set to portray Vicky as the iconic character from the Hindu mythology, Ashwatthama. The reports earlier stated that the movie is going to be an epic period drama but a recent revelation suggested the movie to be a superhero action movie. The shoots for the same will be commenced soon. URI: The Surgical Strike Trio of Vicky Kaushal, Aditya Dhar and Ronnie Screwvala to Re-Unite for a Period Drama on Mahabharata Character Aswatthama? The spokesperson of the director recently revealed, “It is not a period film, it's a superhero action film set in modern times.” Vicky Kaushal Wanted to Change ‘How’s the Josh’ Dialogue in Uri: The Surgical Strike. Film analyst and critic Taran Adarsh took to his Twitter handle to announce details of the film. He also stated that director Aditya will soon be travelling to the US for the movie shoot. He wrote, “Xclusiv info on #Uri team's [actor Vicky Kaushal, director Aditya Dhar, producer Ronnie Screwvala] next film... ☆ Will be an action-based superhero film, set in modern times. ☆ Aditya Dhar will leave for US to prep for the film [not titled yet]. contd. in next tweet...” “#Uri team's [Vicky Kaushal, director Aditya Dhar, producer Ronnie Screwvala] next film... ☆ Parts will be shot in India. Major portions will be filmed abroad. ☆ VFX will be done by biggest studios internationally. ☆ Can turn out to be one of the biggest films ever made here,” he further added. Well, going by the popularity and success of URI: The Surgical Strike, it goes without saying that the next project is already flying high on expectations. Meanwhile, Vicky Kaushal has also been roped for Karan Johar’s next period drama Takht, co-starring Ranveer Singh, Alia Bhatt, Kareena Kapoor Khan, Bhumi Pednekar, Anil Kapoor and Janhvi Kapoor.